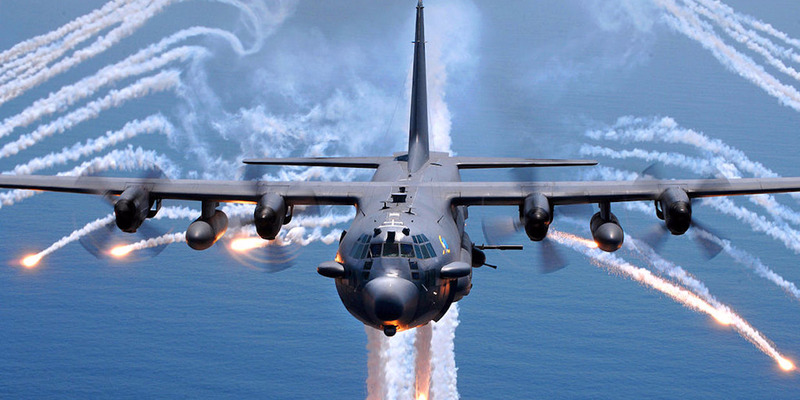 US Air Force/Senior Airman Julianne ShowalterThe AC-130 gunship, one of the aircraft the US says it used to return fire on Russian-backed attacking forces. US airstrikes reportedly killed Russian military contractors in a massive battle in Syria earlier this month. They are thought to be among the 100 or so dead after the clash. Russian contractors are not the same as regular Russian soldiers, but US and Russian forces have operated close to each other on opposite sides of the Syrian conflict for years. US airstrikes in response to what it called an “unprovoked attack” killed around 100 people in Syria earlier this month according to the Pentagon, but a new report from Bloomberg says that number may be as many as 300, and that they were Russian mercenaries. 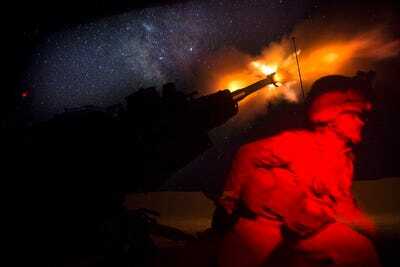 If true, the battle may mark the deadliest encounter between the Cold War rivals in decades. While the Kremlin has declined to comment, and no independent party has yet verified the reports, US and Russian aligned forces have fought on opposite sides of the Syrian conflict and in close proximity for years. If the US did kill Russian military contractors, it falls short of killing official Russian servicemembers, which could escalate into a larger war. But the loss of Russians in Syria may still blacken the image of the Kremlin’s intervention in the six-year civil war, which it portrays as peace-keeping and inexpensive. Russian media said Russian private contractors and pro-government forces advanced on oil fields in the eastern Deir el-Zour province and were targeted by the United States. “Pro-regime forces initiated what appeared to be a coordinated attack on Syrian Democratic Forces east of the Euphrates river,” Pentagon spokesperson Dana White said in a statement, referring to the SDF, which the US has trained, equipped, and backed for years. The river acts as a border between the coalition and Russian and Syrian forces, and the Pentagon also described the SDF location as well-known, and that therefore the attack wasn’t a mistake. Syrian regime forces launched a coordinated attack that included about 500 regime troops,122mm howitzers, tanks and multiple launch rocket systems on the US-backed SDF headquarters in Deir al-Zor province approximately five miles east of the Euphrates River. Regime forces operatingRussian-made T-55 and T-72 tanks fired 20-30 tank rounds within 500 feet of the SDF base, where some US troops were embedded, according to Pentagon press secretary Dana W. White. 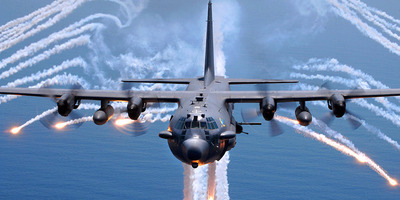 The US-led coalition responded with “AC-130 gunships, F-15s, F-22s, Army Apache helicopter gunships and Marine Corps artillery,” according to Fox News reporter Lucas Tomlinson. The Pentagon said that the attack wounded only one SDF soldier. Days later, a US jet destroyed a Russian-made T-72 battle tank that had fired on US and SDF forces, the Pentagon told Business Insider.